Tuberculosis (TB) is caused by infection with the bacteria Mycobacterium tuberculosis. These bacteria enter the body through the airways and then settle in the lungs and develop a disease there. Not all people infected with these germs will definitely suffer from TB disease. This depends on one's immune system. If it is good, the TB bacteria will not survive. TB does not only attack adults, the Little One can suffer from it too. Your Little One who is affected by tuberculosis is most likely not infected from his/her peers, but from adults who have the disease. Bacteria spread to the air because the sufferer sneezes or coughs. Risk factors for TB in the Little One include less than 4 years of age, adolescence, unhealthy environmental conditions, to the existence of conditions that cause a decrease in the body's immune system such as HIV / AIDS or malnutrition. TB mostly occurs in the lungs. TB in adults is more easily recognized and diagnosed, for example cough with phlegm for more than two weeks, fever, decreased appetite and weight, shortness of breath, or chest pain. In contrast to adults, the symptoms of TB in the Little One are more difficult to recognize because it is often less clear especially what it happens to the Little One under 7 years of age. Symptoms of TB in the Little One that are most often found are coughing and shortness of breath. In addition, another symptom that is quite common is a low weight so that your Little One has poor nutrition. Your Little One’s body weight with TB is difficult to rise, even after an effort to increase the body weight for some time. Then, other symptoms that can arise are fever without apparent cause, enlarged lymph nodes in the neck, armpits, and groin, as well as swelling of the bones or hip joints, knees, and fingers. If your Little One experiences the symptoms above, see a doctor immediately. Not only that, if there is a family member or caregiver for the Little One is having TB, you should take your Little One to the doctor for an examination. The doctor will examine the sputum for a diagnosis of TB. 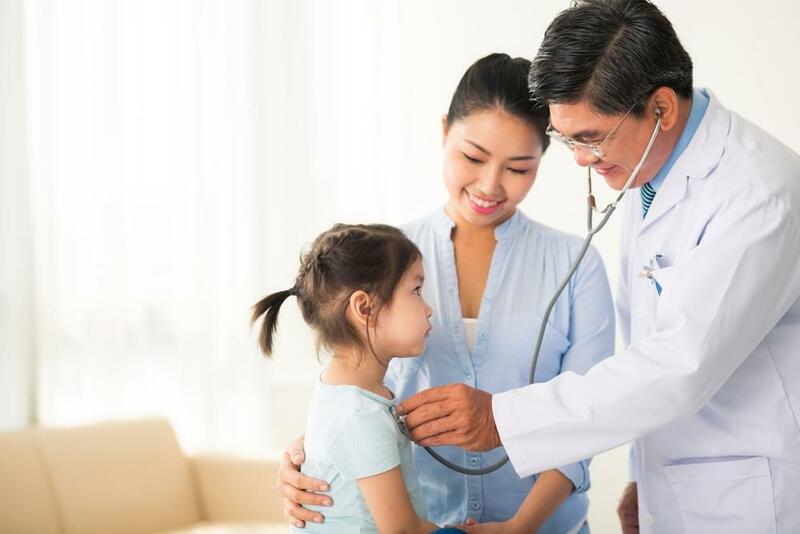 However, if it is difficult to do because your Little One cannot expel his phlegm/sputum, then the examination that will be done is a Mantoux test on the skin and chest X-ray to help diagnose TB. Mantoux test is a test that is done by injecting a tuberculin solution (TB germ protein) under the skin. After the injection process, it will usually be allowed to stand for 48-72 hours to get the results. If your Little One is proven to have TB, the doctor will take medication. For the Little One who has just been infected with TB bacteria, antibiotics should be given every day for about 9 months. Meanwhile, the Little One who has active TB will be given treatment which usually consists of two types of antibiotics or more. The period of consumption is 6-18 months. TB can be prevented by maintaining maximum health. The fulfillment of daily nutrition for your Little One according to his/her needs and adequate rest will support your Little One’s health. Also, add nutrients that contain nucleotides and lactoferrin. Nucleotides are needed in the process of strengthening the immune system and supporting the health of the digestive system. Healthy digestion means that nutrients will be absorbed and channeled properly, for example iron absorption will be maximal if the digestive tract is healthy. This will make the Little One to be more active and smart. Nucleotides also play an important role in the formation of the metabolism of the Little One. Lactoferrin, a protein that binds to iron, has various functions including as an antimicrobial, a regulator of iron absorption in the intestine, and a regulator of the body's immune system. Lactoferrin works on white blood cells to provide immunity. With a maximum immune system, your Little One will not be infected more severely from viruses and bacteria in the respiratory tract. He will be prevented from experiencing cough, cold, and ARI (Acute Respiratory Tract Infection).